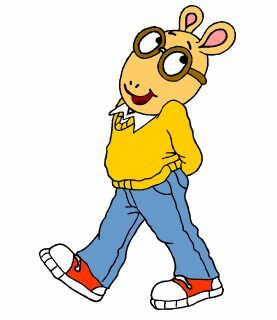 Who doesn’t love Arthur, the charming aardvark from the popular animated WGBH series? He and his third grade friends always seem to find themselves facing dilemmas, and as a result they problem-solve using imagination, kindness and humor. We at Beaver love Arthur, and his creators are big fans of Beaver Summer Camp as well. We think that’s because, like Arthur and his friends, our summer campers are similarly empowered, creative, and spirited. This week, for the second time, producers of Arthur were on campus to film live-action companion segments of our very own campers for upcoming episodes. Two summers ago, they did the same for shows whose storylines, appropriately, were about friendship and adventures – ever-present themes here at Beaver! Earlier in the week, a group of upper campers previewed drafts of the episodes (which will not be aired until the spring of 2016). The first, titled “Whip. Mix. Blend.”, involves Rattle, who discovers that he does not have anything in common with his mom’s boyfriend’s twin children, with whom he starts spending lots of time. The concept for the live action segment involved science experiments combining different materials to create fun and unexpected results. Upper campers were filmed combining different substances in the technology lab and responding to what they observed. The second episode is titled “Buster’s Not Buying It”. In it, Buster’s favorite conspiracy television program is canceled because of its inauthenticity, and as a result he begins to have doubts about everything. His friends ultimately convince him that believing in everything can, in fact, be a good thing. The live action segment paired with this show features Beaver campers creating a legend about their own mythical creature – a Chinese dragon – that lives in Hammond Pond. In the segment, we will see two of our campers dressed up as ‘gumshoes’ interviewing other campers to find out what they know about the creature. For more information about Arthur, check out the WGBH website or on PBS Kids.